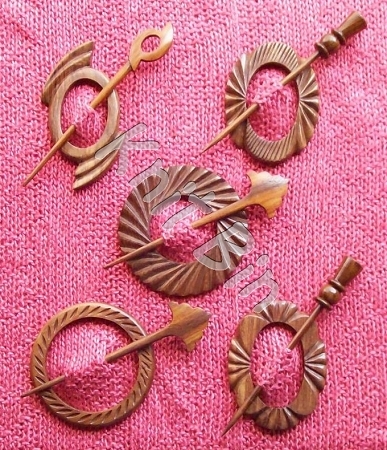 These stunning shawl pins are hand-crafted in India by the artisans of Zeshane Handicrafts. Sheesham wood is a member of the rosewood family. Excellent workmanship, and a steal at this low price! Be sure to click on the image gallery to see all the different designs! Dimensions are approximately 2.5 - 4.5 inches, depending on the design. The actual pins are 6 - 7 inches. 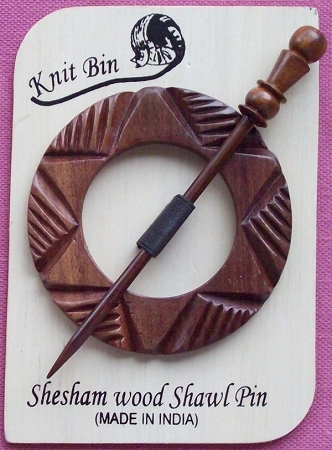 Warm brown, large and handsome pin. 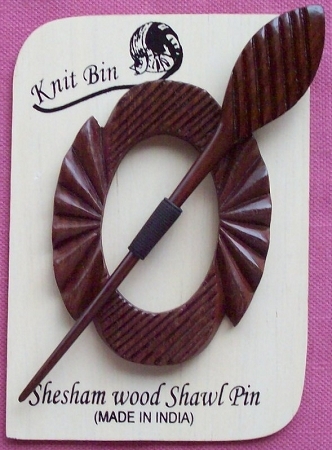 Perfect for a shawl or shrug. Great price, too. 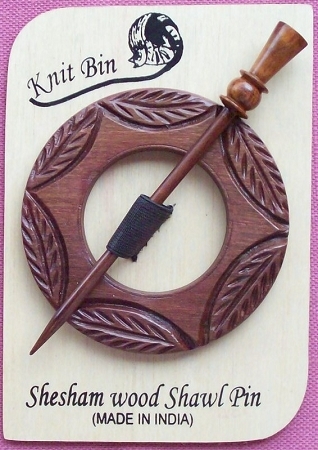 I ordered and received my items and was very impressed at the personal service I received. I will always shop in confidence with you as I received value-added service from Debbie. Great job...keep up the good work.